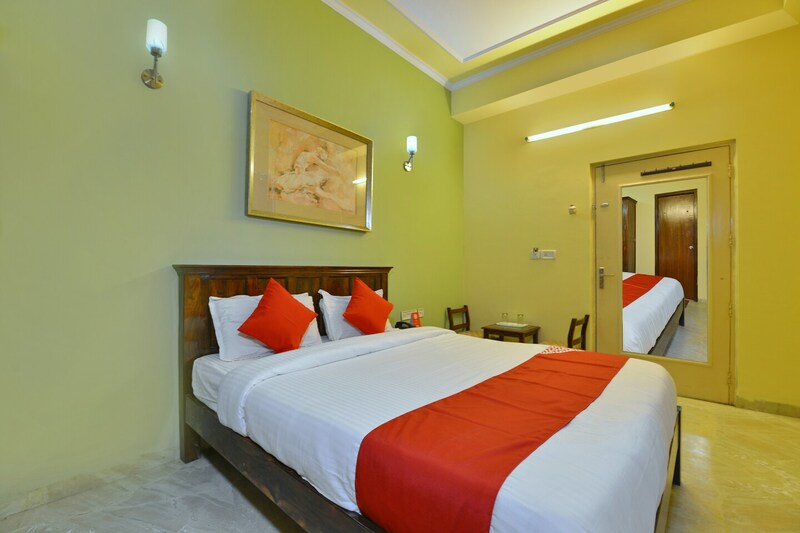 Hotel Silver Plaza is a stylish stay with a soothing ambiance at a pocket-friendly range. The rooms are planned and decorated with rich contrasting colors with dark wood decor and embellished lighting that shines brightly. The kitchen is well-equipped for guests' hunger feasts. Guest can avail the facility of free Wi-Fi to connect with the internet. Other facilities at the hotel include card payment option, CCTV cameras, power backup, parking space and laundry. The in-house restaurant and dining area, where you can indulge in the local cuisines ensures an unforgettable and comforting experience. Various local eateries and landmarks like Nahargarh Fort, Raj Mandir Cinema, and Ramniwas Bagh are located near the hotel for your touristy mood.